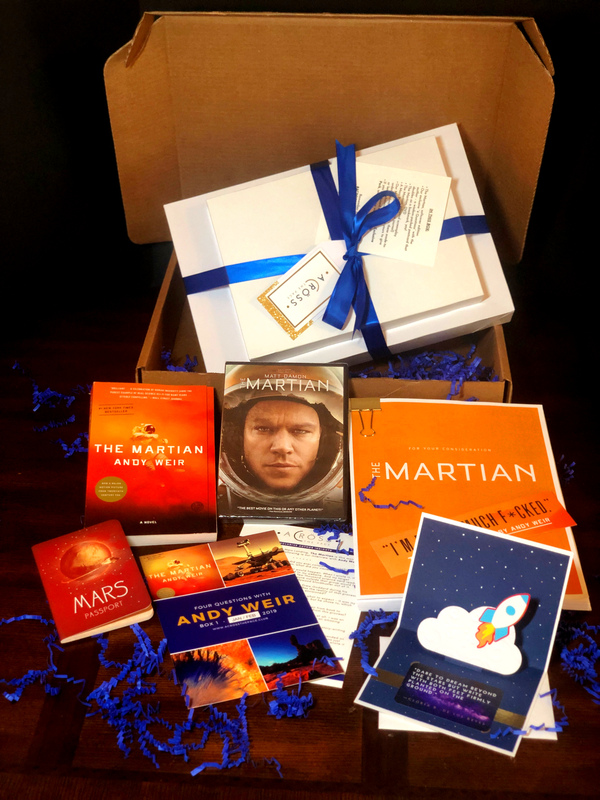 IN THIS BOX: —The Martian, softcover edition —Our exclusive “4 Questions” with the author – a wisdom-packed postcard that doubles as a bookmark, yay! —The Martian, DVD —The Martian, adapted screenplay —A Mars Passport (mini journal) —Our Monthly Inspiration – these made-to-order handmade cards are yours to give or keep, whatevs Our Jan/Feb Exclusive Perk was an author-signed First Edition of Andy Weir's new book, Artemis! These were on a first come, first serve basis and may no longer be available.